Although Joe Mauer is possibly out for the remainder of the season and Justin Morneau will most likely be traded in the near future, Twins baseball is still about to heat up in September! Get ready for it, Minnesota! 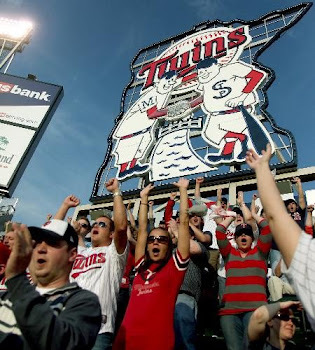 Make it to one last game at Target Field before school starts! Need last minute tickets for the Twins game tonight? Well look no further than Ticket King! Ticket King still has a good selection of Twins tickets for tonight! Don't you want to watch the Twins vs. the White Sox at Target Field on a beautiful Friday night? Check out their selection and get to the game! Joe Mauer and his Twin Baby Girls! Okay, yeah I'm a little behind on my reporting skills, but just to update the blogging world; Twins player Joe Mauer is celebrating the birth of his twin girls, Maren and Emily. Joe was on paternity leave for a bit, which is relatively new for Major League Baseball. Since 2011, players can take up to three days’ leave. However, I looked it up and studies show that paid paternity leave of any length is rare in the United States, and even when it’s offered some new fathers don’t take advantage of it. We are so glad Joe took advantage of it and got to spend some time with his new babies. Congrats to Joe and Maddie! 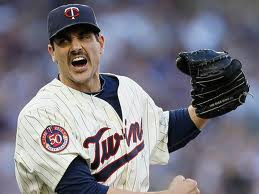 The Twins are back in Minnesota on Monday, August 12th for a 3 game series against the Cleveland Indians. The game is at 7:10 and Ticket King has tickets for as cheap as $14! Check it out their selection here.